Last week on Awesome Web Design of the Week we went on a visual journey in San Francisco with designer Abby Putinski. For this week we are going to Colorado particularly in the Colorado River to take a pledge and reunite the river. 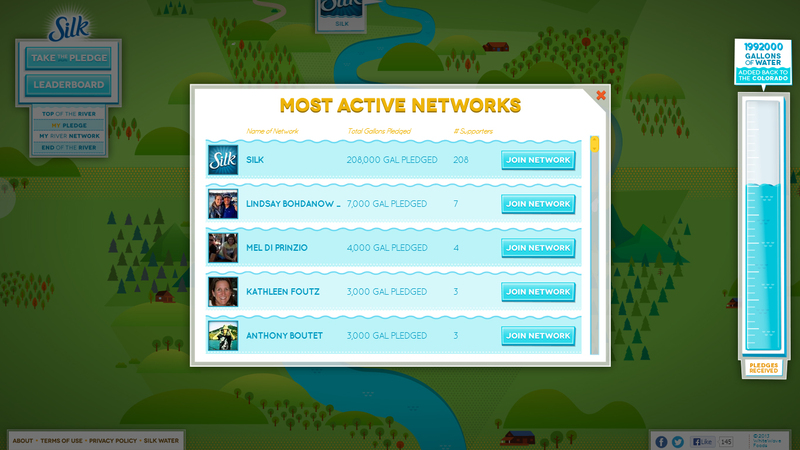 The website is also dedicated to have people take part in saving the river through a simple pledge. 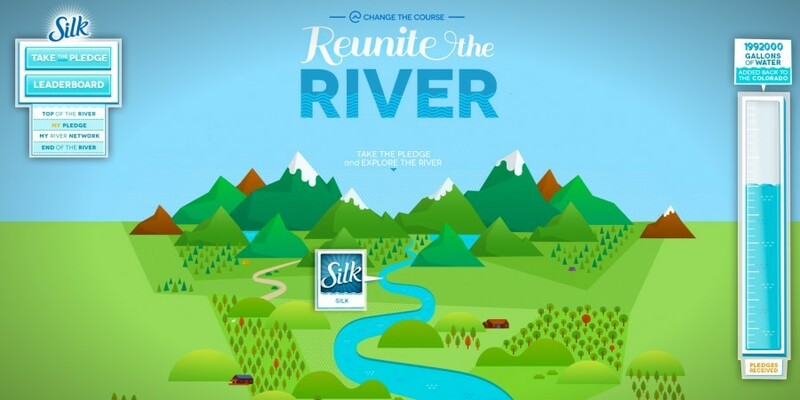 Silk is an alternative milk manufacturing company based in Colorado and feeling the deep connection with the Colorado they started the program: Change the Course. With National Geographic Society, Bonneville Environmental Foundation, Take Part and Participant Media as their partners they launched the website Reunite the River. UNIT9 a production company based in United Kingdom was given the task to create and develop Reunite the River. 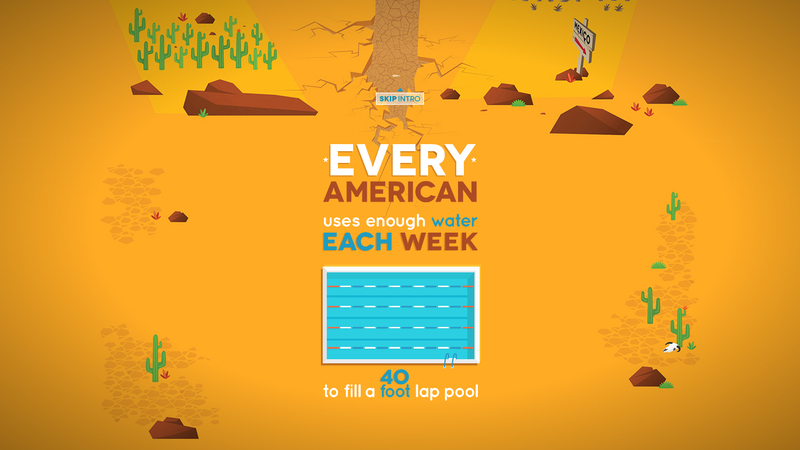 By building a parallax html5 microsite experience for desktop, the aim was simple: to raise awareness about water consumption throughout the USA, and specifically, the conditions of the Colorado River. Through the creation of ‘Reunite the River’ we hoped to reconnect the river to its original destination. 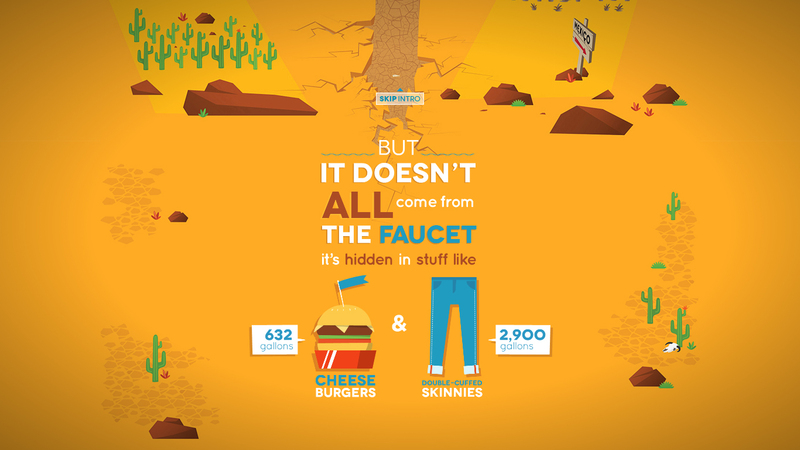 There’s only one problem is how will this microsite of awesome going to help deliver the information to the people. Simple. By making the users to give an opportunity to pledge but this is not just a simple pledge. 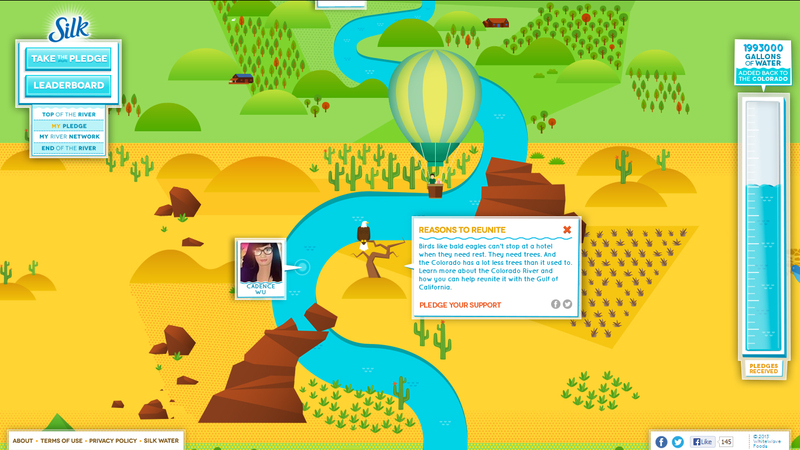 The fun part of the pledging is users are given the chance to choose their spot in the wonderfully illustrated Colorado River. The users are encourage to use and connect with their Facebook account thus helping to spread the message, get followers and deliver traffic. In addition users are offered with educational nuggets about the fauna and flora found throughout the river that they can share in Facebook. 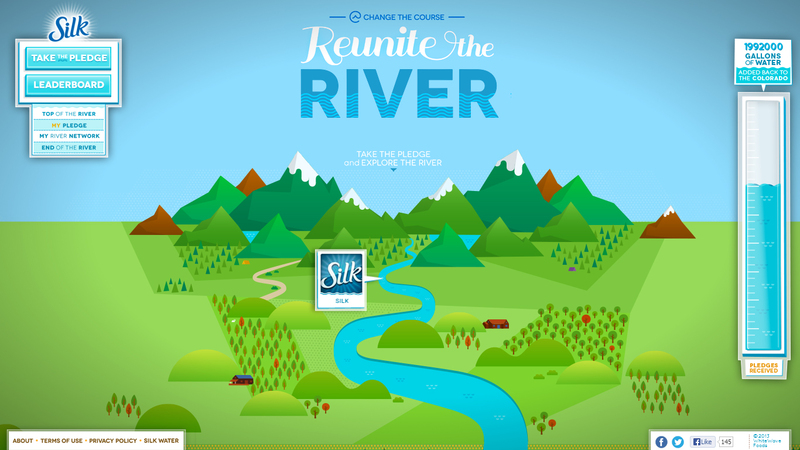 Reunite the River is not just an awesome web design idea but it is a website that aims to help and inform the people in a fun and very visual way. 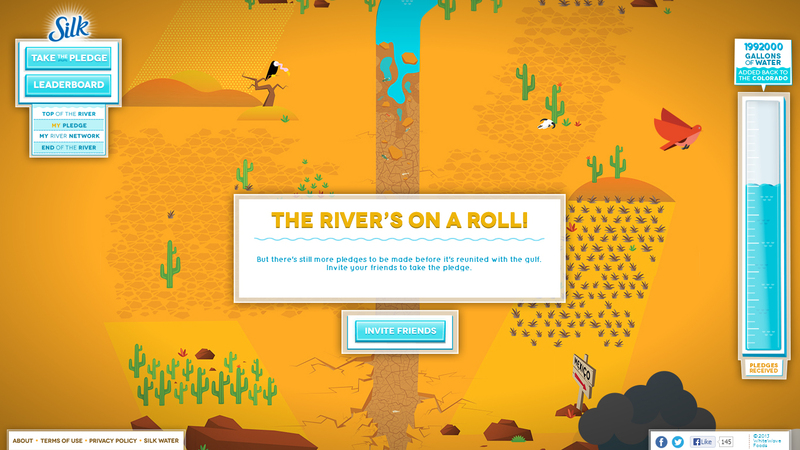 After looking through the site and enjoying the illustrations we took a pledge to help out the Colorado River. What do you guys think? 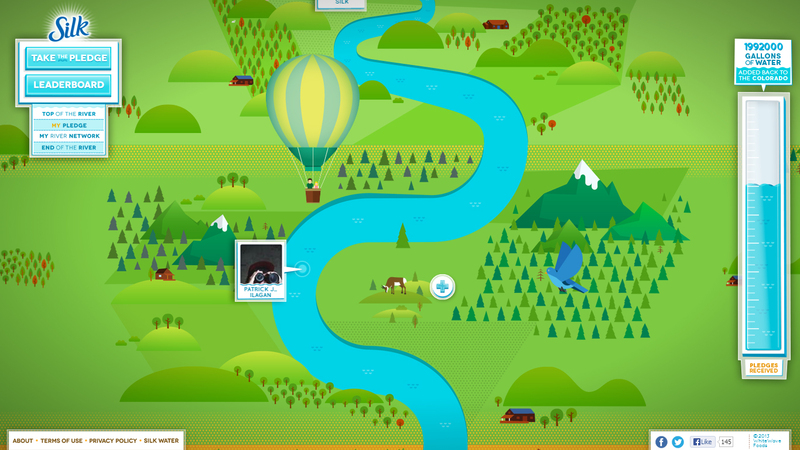 Is the Reunite the River an awesome web design idea? Do you guys think it fulfils its mission as a website? Share your thoughts at the comments below!